Formed in June of last year, France Fintech is an association of FinTech startups founded to raise the visibility of the sector and to speak in a coordinated manner to key audiences: regulators, established firms, and the international community. The association, which has grown to more than 60 members, is open to startups that serve the financial services industry or offer an alternative model to traditional finance. France Fintech is managed by its entrepreneur members. The formation of France Fintech is a sign of growing ambition of the French FinTech sector. The French FinTech community, particularly in Paris, is bigger than people think. The country has many rapidly growing new entrants in the payments, crowdfunding, and personal asset management sectors. There are several fintech-specific incubators in Paris, including The Village, offered by Crédit Agricole. Several other incumbent financial institutions, including AXA and BNP Paribas, support their own Paris-based innovation labs or other efforts. Truffle Capital hosts a FinTech incubator in its offices in the eighth arrondissement, and there is Paris & Co., which was the first FinTech incubator in France. Maison du Bitcoin is a co-working space for cryptocurrency related start-ups, which also operates an exchange counter for bitcoins. I’m aware of two recent exits of note in this sector. Leetchi Group (owner of MangoPay) was acquired by French Bank Credit Mutuel Arkea in September in a deal valued at €50 million, and Groupe BPCE subsidiary S-Money acquired P2P payments company LePotCommun.fr in October. Alain Clot is the President of France Fintech and also shareholder and advisor to eight startups (among those is Compte Nickel, offering bank accounts that can be opened in 10 minutes, which has established 270 000 accounts in its first few months). 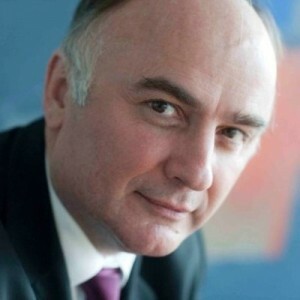 He has over 30 years of experience in the international financial sector, and has previously served as SocGen Head of Strategy, and CEO of Societe Generale Asset Management and Credit du Nord. Q.​ Alain, how did France Fintech come about? A. FFT was set up in June 2015. ​It is basically a bottom up initiative: the French FinTech entrepreneurs drew the conclusion that their number, size, and ambitions justified to set up a proper structure to represent them. Don’t ask me why they asked me chair FFT ! Maybe because after having spent several decades in the banking industry, I am supposed to speak the language of « the other side » as well as 15 years of involvement in the alternative financial sector. Because we want to be very focused to be effective, we decided to gather startups complying with a quite precise definition: a disruptive financial service business model (banking, insurance, investment), relying on digital technology. Q.​ What specifically are you doing to promote the interests of the French FinTech community, at home and in the world? Communicate to promote French FinTech both in France and internationally. I have gone through over 50 interviews since early September, we have organized many events (meet ups, lectures, etc. ), we have started growing our social network’s fingerprint, etc.). Act as a lobby vis a vis regulators (French and European), the French State, the Parliament, The Banque Publique d’Investissement. Liaise with the venture capital world to enlarge funding options. And moreover, stimulate the ecosystem, by multiplying connections, synergies and common projects. Q. Is Innovate Finance in London a model for France Fintech? A. Frankly speaking, yes and no. Yes, because London started ahead of Paris, is the largest Financial Center in Europe and enjoys very deep and innovative market and excellent image. No, because France has its own features, culture and objectives. Q. Are there areas in which France has a relative advantage? Anteriority: almost nobody remember that French consumers were able to access to financial services through the net far ahead the US or UK (in the ‘90s) and pioneered in the field of direct internet banking (e.g., Boursorama that I contributed to launching in the late ‘90s). Training and education in finance, maths, engineering and data science. France ranks this year N°1 (FT) in MBAs. A very large diaspora in the finance and digital world that is very supportive to the move. World class financial institutions in banking, asset management and insurance, that are at the same time a sort of obstacle, but also offer an effective stimulation and cooperation to the FinTech community. Innovation capabilities: from this point of view, France ranks at the very top of nations. N°1 worldwide according to numerous surveys (e.g., PWC Innovation-Intellectual Capital, 2014, France N°1 ahead of San Francisco, London and Berlin). UN Survey: France N°1 in Europe and N°4 worldwide for online public services, telecom infrastructure and population education; N°4 Worldwide in terms of « World Government e-Leaders » ahead of the US, UK, Japan, Germany, etc. ; 83% of French citizen using internet services versus 75% average in Europe, etc. Not yet perfect, but with no doubt, moving forward! Q.​ Can you build a lasting independent Fintech company in France? A. Definitely. First, because consumers have dramatically evolved: today, over 40% are ready to use FinTech services and 15% have already done so. Second, because resources (especially funding) are more and more available, valuation grows and startups are not bound to sell themselves to traditional institutions to develop or exit. Lastly, because there is clearly a way to turn those models into profit. Banks are charging almost €15 billion in fees in France and there is room for new models based on usage and technology. Q.​ Much of the results that London has seen in building its image as one of the leading FinTech centers can be attributed to the appearance that all of the UK is pulling in the same direction. Is that true yet in France? Traditional players are of course competitors but now cooperating with start ups, integrating their offer within theirs or in some cases investing in them, giving credibility to the model. The French State and regulators have also changed their approach, being now very much pro-business. Let’s mention The FrenchTech, a governmental initiative to internationally support French startups or the creation of dedicated structures within regulatory bodies. Dialogue is deepening and one can (at last!) feel there is a genuine common vision. Solutions are being delivered (open data policy, public funding, tax projects, etc.). Q. How supportive is the French regulatory regime? At the recent Paris Fintech Forum organized by Alteir Consulting, Philippe Collombel of Partech Ventures remarked that European regulators put their domestic retail banking champions at risk of disruption by being too conservative. Was he talking about France? A. Europe is, from a regulation point of view, rather conservative, but I do think the consumer must be protected. The trend is toward European integration, but let’s be clear, one can see that a sort of competition between national regulators is taking place as far as local implementation is concerned, to turn their local market into a more attractive one. The French regulator is adopting a much more flexible approach to combine consumer protection and competitiveness. Not perfect yet (compared with the UK and Luxembourg), but getting better. Q. Is sufficient capital available in France to French FinTech startups at each stage of their development? A. First, in France, it is quite easy to find « love money » (first 500 000 €), due to tax reduction. Second, capdev equity (above break even point, when the start up gets profitable) is not bad. The issue was in between (« early stage »). There as well, things have significantly improved. By implementation of state funding (« BPI ») but mainly with the arrival of proper venture capital and institutional investors, who all think the disruption potential is very large. Q. Do French VC think differently than those in London or the U.S.? A. VCs are all looking for the same things in companies they invest in: great team, great product, ability to scale internationally and to get acquired at a large premium. French FinTech startups are offering those. Q.​ Do FinTech firms in France receive different valuations or different terms from investors based on geography? I’ve heard venture investors say that in France you don’t see the shenanigans with preferences you see in the U.S. and UK from investors who want to say they have unicorns in their portfolios. A. Until recently, the size of funding rounds and EV of French FinTech startups was indeed only a fraction of the US and UK ones. But recent deals are showing that we’re catching up rapidly on those. Q. Is there anything the French FinTech ecosystem is missing? For example, do you need more dedicated accelerator and incubator programs? A.​ There are more and more dedicated accelerators and incubators, so that’s not (anymore) a good reason. We’re working on the visibility side of things. That leaves us with the proof of concept from the investment perspective, i.e., large successes from an exit (M&A), funding (series C or IPO) or business perspectives (large launching / marketing campaign for a French FinTech in the US or the UK, like Transfer wise). Q.​ Which of the large FSIs in France are most supportive of FinTech startups? Credit Mutuel Arkea comes up a lot in discussions. What of the others? A.​ Most if not all of the incumbents have been actively supporting FinTech initiatives, either by financing them (Credit Mutuel Arkea), incubating them (BNP Paribas), and so on. Most large banks and insurance groups are now cooperating with FinTechs and more and more trying to invest in them. Q.​ Access to data is often a stumbling block for FinTech startups during product development. It’s expensive and often difficult to come by. (Think real-time capital markets data or insurance data for testing an underwriting algorithm.) Are there solutions to this problem for FinTech startups in France? A. ​Lots of companies that are not pure FinTech players are active in the machine learning and smart data fields (which are incidentally French educational system specialities). Some of those will surely have a large impact on the financial services industry, and some of those might end up offering their services to FinTech startups. Moreover, the State is providing the open market with a huge quantity of open data. Q.​ Do FinTech startups in France tend to think globally right from the start? Do French entrepreneurs think differently about this compared to those in the UK or U.S.? A. All entrepreneurs (which is by the way a french word) think the same way and want to conquer the​ world. In 2014, it was in France that the largest number of startups were created in Europe (over half a million). Q.​ Where do French FinTech firms usually look first for international expansion? For some within FinTech, the Eurozone looks like one market, but for others, regulation makes it look like 19. A. In the FinTech sector, the international expansion lever is the regulatory European « passport » which allows you to cover other markets from your home base. Therefore they all think of Europe as their domestic market. Q. Let’s talk about the talent pool available to France’s FinTech startups. Can FinTech startups in France recruit from established financial firms? Can they compete for talent with London and Berlin? Are there recruiters specializing in FinTech in France? Q.​ What can you tell me about your FINTECH R:EVOLUTION event? A. It will be held on the 3rd of May in Paris (in the « Pavillon Gabriel », which is a prestigious and well known site). We have top-ranked international speakers coming from all continents and Emmanuel Macron, our Economy Minister, will probably attend. We want the first issue to be a top quality one, where all the international ecosystem will gather. You’re all welcome! Q.​ What else can we expect to see from France Fintech in the coming year? A. Champagne to celebrate our victories of course! This entry was posted in FinTech, Startups and tagged France, going global, innovation ecosystem, venture capital by jim. Bookmark the permalink.